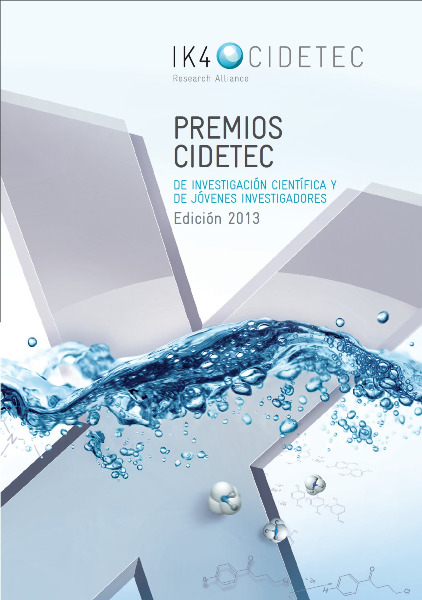 The CIDETEC jury awards 2013 were held on April at CIDETEC. 1) Dr. FRANCISCO JOSÉ VIDAL IGLESIAS from the Electrochemistry Institute of the University of Alicante with the 2013 CIDETEC Award in the field of Scientific Research in Electrochemistry, worth 3,000 euros, for the work “Towards More Active and Stable Electrocatalysts for Formic Acid Electrooxidation: Antimony-Decorated Octahedral Platinum Nanoparticles,” published in Angewandte Chemistry International Edition 52 (2013) 964-967. 2) Dr. NURIA GARCÍA-ARÁEZ GARCÍA DEL VALLE currently at the University of Southampton (United Kindom), with the 2013 CIDETEC Award in the field of Young Researchers in Electrochemistry, worth 1,500 euros. The awards ceremony will take place next July at the General Assembly of the Specialized Electrochemical Group to be held during its annual meeting in Burgos.